In 2007 Linn released two new songs, “The New Day” and “Breathing love”. By the request to contribute to the Symposia and the historic silent prayer for the planet, the songs were dedicated to life on earth. 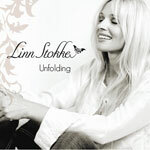 Linn Stokkes album UNFOLDING was released 20.11.2006. 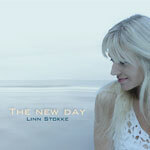 She debuts with an evocative and personal album where all 11 songs are composed by Linn. She is joined on the album by some of Norway’s best musicians.